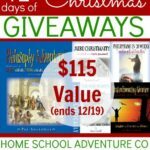 Are you enjoying the 12 Days of Homeschool Giveaways brought to you by Homeschool Blogger’s Network? If you’ve missed any of the past 5 days, click here to see the entire list. Today’s sponsor is Spelling You See. 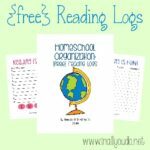 Spelling You See is a natural, easy way to teach and learn spelling. Many children have become confident, successful spellers using the methods taught by Spelling You See. 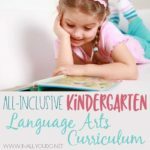 The design of the program allows students to develop spelling skills naturally, at their own pace, with the direction and encouragement of the instructor. Spelling You See will be giving a complete level of Spelling You See of the winners choice. Click here to learn more about Spelling You See. To enter, simply use the Rafflecopter form below. Please note this giveaway is open to US Residents only. All entries will be verified. Winners will be notified by email and will have 48 hours to respond. If no response is received within 48 hours, a new winner will be chosen. Ends Friday, December 19th at 11:59pm CST!! Good luck! I would absolutely LOVE to win American Spirit. Thank you so much for the opportunity to try winning it this year. Demme Learning is a wonderful company and we LOVE their Math and Spelling products.